Zipper pouches are a quick project that’s perfect for gift giving, party favors, or just because you deserve something special. And the best part? Once you get the hang of the basic construction process you can make them in a plethora of sizes. 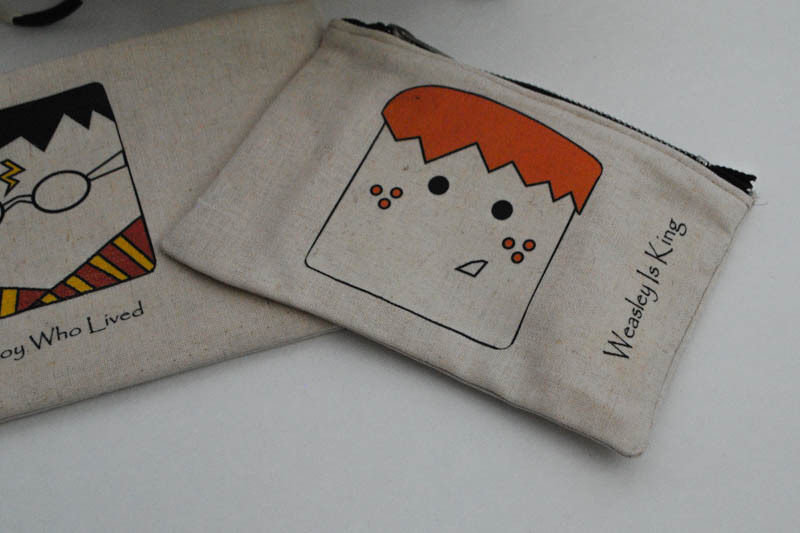 Today, I’m sharing a basic tutorial in two sizes, the larger size is perfect to use as a pencil case and the smaller size, a coin purse. Since the lucky recipient is a Harry Potter fan, I went ahead and used my favorite Harry Potter iron on transfers to decorate these fun Harry Potter Zipper Pouches. This summer, we were fortunate to attend a Harry Potter bash in honor of Harry’s “real” birthday. The kids, and by kids I mean the mom’s, in the group are all obsessed with anything Harry Potter, so I thought it would be fun to sew up a few goodies to bring for the party favors. 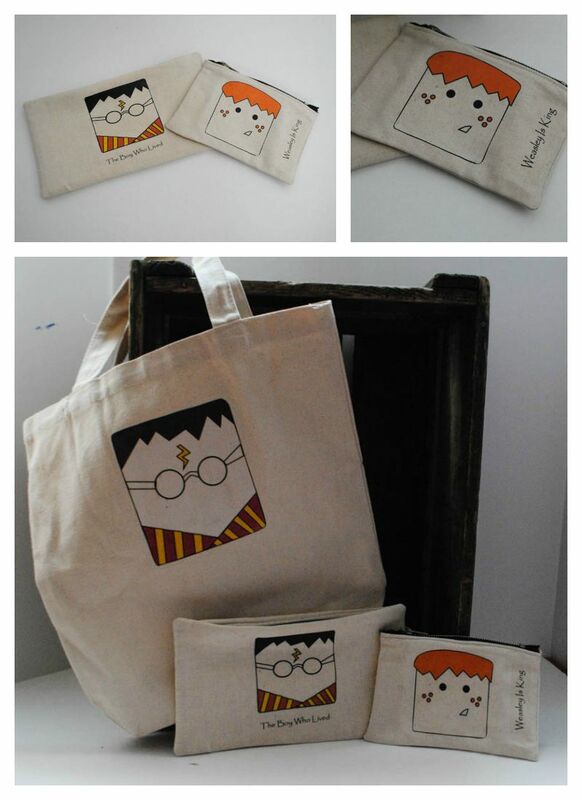 These Harry Potter iron-on graphics make it so easy to whip up party favors in the blink of an eye. Layer your fabric pieces, batting, main fabric and lining, right sides together. Line up the zipper with one long side, sandwiched between the main fabric and lining, right side facing down. Pin and sew using a zipper foot. Press the lining fabric behind the zipper top stitch. Repeat with the other side, making sure to unzip the zipper 1/2 way. Press the lining behind the zipper and top stitch. Place right sides facing, pin, and sew around the outside edge using a 1/4 inch seam allowance. Trim the seam allowance and clip the corners. And now you’re ready to fill your pouch will all your favorite things. Print and cut your Harry Potter iron-on transfers, iron-on, peel off the backing and you’re ready to party! 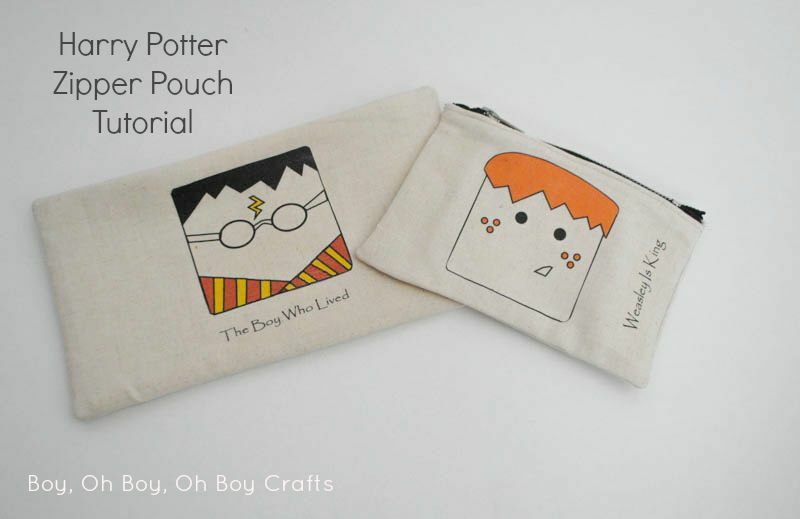 Or make all of your Harry Potter loving friends jealous with your super, cool pencil pouch. Grab a set of Harry Potter graphics here and get started!